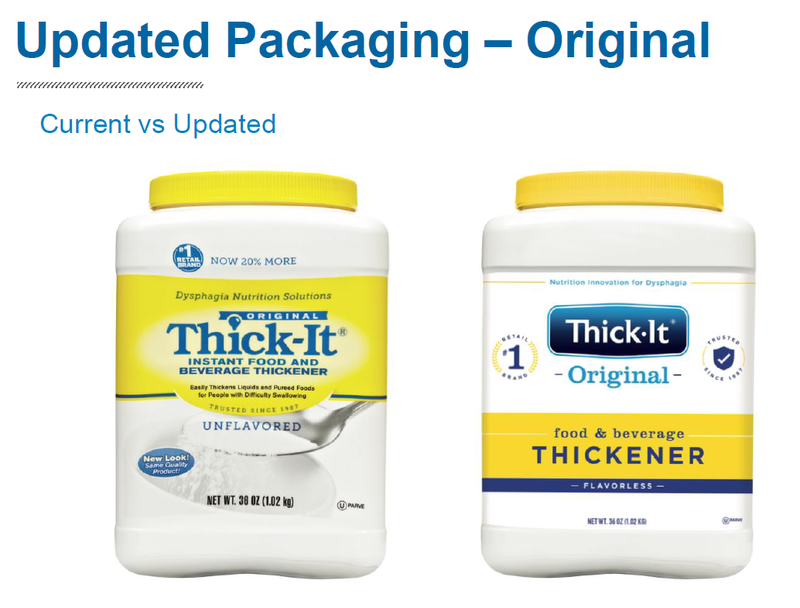 Please be advised that Thick-It® has converted the packaging design on all products. Two products have already been produced and have shipped out of the warehouse (J585-C6800 and J584-H5800), so consumers can expect to see these products on the shelves soon if they haven’t already. The only change is in packaging, the formulas are exactly the same. The UPC’s and manufacturer codes have not changed and the ordering process will remain the same.